Here is a quick look at the statistics for top returning Group 2 girls this season. For full listings see the table linked below. 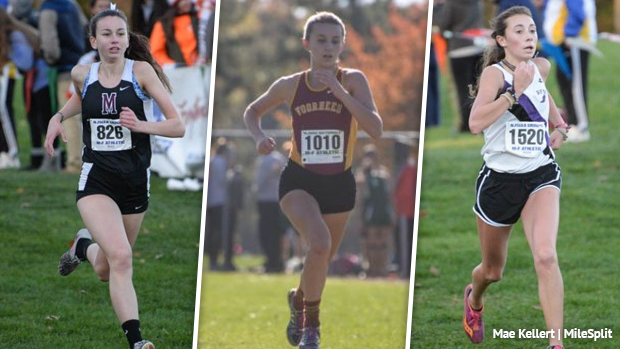 Rachel Kenny has the best returning cross country times for the Group 2 girls by far. The Matawan senior has the only sub-19 minute returning performance from Holmdel Park with her 18:54 from Group Championships. Lauren Wagner of Voorhees is the closest with a 19:21. Kenny placed second in the 2016 Group Championship behind the now graduated state champion Briana Gess. The talent in this Group isn't limited to Kenny and Wagner either as Amanda Stone of Monmouth Regional, Madison Coppolino of Sterling, and Victoria Vanriele of Governor Livingston are all rising talents who could make a mark. Team wise Rumson-Fair Haven returned four of their top five from last season. Despite having no one under 20 minutes at the state course they bring a wicked 31 second scoring split at Holmdel. Led by Ryanne Mulligan and Carolyn Trent their top five, made up of three juniors and two sophomores, all rank in the top 30 for Group 2. In second among the returning teams, 50 points behind, is Voorhees led by Lauren Wagner. Their number two scorer, Nicole Cassavell, had a strong spring season in the two mile so they could see a big push from her this fall developing that 1-2 punch. Those two lead a young group of sophomores with a year of experience under their belt and plenty of time to drop.